Aging is definitely a process that we all have to accept with grace – and while we might not like it, there’s really no stopping the process. Growing older is a beautiful part of life, filled with love, lessons and loads of good times. But, for many of us, slowing the process is essential – and that means taking care of your body by staying fit and making good nutritional choices. With all this happening, it turns out your beauty process has to evolve, too. 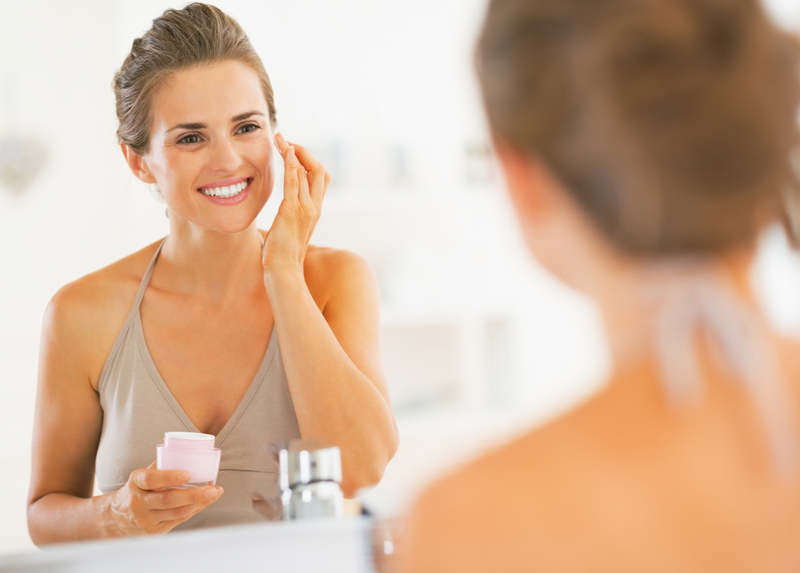 From skin care to hair and makeup, once you hit 40, the products of your 20’s and even your 30’s may no longer do the trick. Not sure what to adjust first? Keep reading for beauty tips for women over 40. Eat Right. Load up on the leafy greens, fruits and lean proteins and skip the processed products. Feeding the body with the best will also help you look your best. Keep your makeup natural. Go for warm, natural tones – to bring a sense of youthful glow back to the skin. Sticking to the golden warm hues invokes a sense of brightness and light – and also helps to balance out any redness. Give your cheeks a rosy glow to help draw attention away from dark under-eye circles. Stick with those warm tones like peaches, pinks and golden hues. Consider plumping up thinning lips with some added gloss. The aging process naturally includes the breakdown of collagen – and often that means lips begin to thin just a bit. Add some gloss on top of your daily lipstick to give the illusion of a plumped up pout. Keep your hairstyle soft and flowy. Just because you’re in your 40’s doesn’t mean you have to cut off all your locks or go for a harsh look. Keep your hair youthful and it will reflect on your total look. Look for foundations that offer hydrating solutions to keep skin looking dewy and moisturized. Over 40, skin tends to get a bit thinner and often dryer – so it’s time to help it out with some added moisture. Fill in brows to make them appear fuller. Use a brow pencil or gel to help give thinning brows some definition and depth. Don’t skip out on the facials. Now is the time to keep that skin healthy and glowing – and that means regular exfoliation. Smile! Keep that youthful look by simply adding a smile as your best accessory. Are you in your 40’s? What are the beauty tricks that work best for you? This is a great article I found from Lorens World for women in their 40’s. As you mature there are age related items on which to focus. Your skin starts changing and it is good to remember to take care of your skin. It’s so important to cleans/exfoliate, tone and moisturize always. Find the products that would be most beneficial to you by taking the Skin Care Analysis.